Coir, (pronounced COY-er) comes from coconuts. It's what makes up the fibrous husks of the inner shell of the coconut and is used for all sorts of products, including rugs, ropes, brushes, and even upholstery stuffing. We're probably most familiar with it as those stiff, scratchy doormats and the fibrous liners used in hanging baskets. Coir is very rot resistant, making it perfect for outdoor products. It is also becoming increasingly popular as a potting mix and organic soil amendment. For a coconut by-product, coir takes a good amount of effort to get to market. The outer husks are soaked until the fibers can be separated and then cleaned. Then they have to be sorted and graded by size. Dark brown coir is from the familiar mature coconuts, but there is also a white version. White coir is from immature, green coconuts and is finer and softer. Some manufacturers also dye the fibers. Coir goes by many names. You may find it labeled as coir-peat, coco-peat, coir fiber pith, coir dust, and other similar sounding brand names. Horticultural coir is a peat-like substance that is used in gardening and agriculture. It is made from the pith found between the fibers. The coir pith gets washed, heat treated, sieved, to remove large particles and graded. Very often it is compressed into blocks or bricks, which need to be soaked before using. You may also find bags or bales of coir. They can be hard to locate, but as coir becomes more mainstream, it should become more accessible and affordable. How is Coir Used in Gardening? Besides being used as a liner for hanging baskets, coir's most common use is as potting soil or an ingredient of potting mixes. For most seeds, it is recommended the mix contain no more than 40 percent coir. Most potting mixes still use peat, but you can mix up your potting mix blend quite easily. Since coir is organic and sterile, it's an excellent choice for starting seeds. Coir is also used as a soil amendment. It improves the air porosity of soils, even when wet, and aids in moisture retention. Coir absorbs 30 percent more water than peat and is much, much easier to re-wet, when dry. You can use coir to amend any soil. It helps loosen the texture of clay soil and improve drainage. It also allows the sandy soil to hold onto water longer. What are the Advantages of Using Coir over Peat? Peat takes hundreds of years to form, and although many reputable firms in the peat industry are trying to harvest and manage peat in a responsible, sustainable rate, demand is so high, we need to look at alternative substances. Since coconuts will continue growing throughout the year and can be harvested every 2 months, they fit the sustainability requirement. It's a bonus that they are a byproduct that was going to be wasted. Using it as a soil amendment solves two dilemmas. 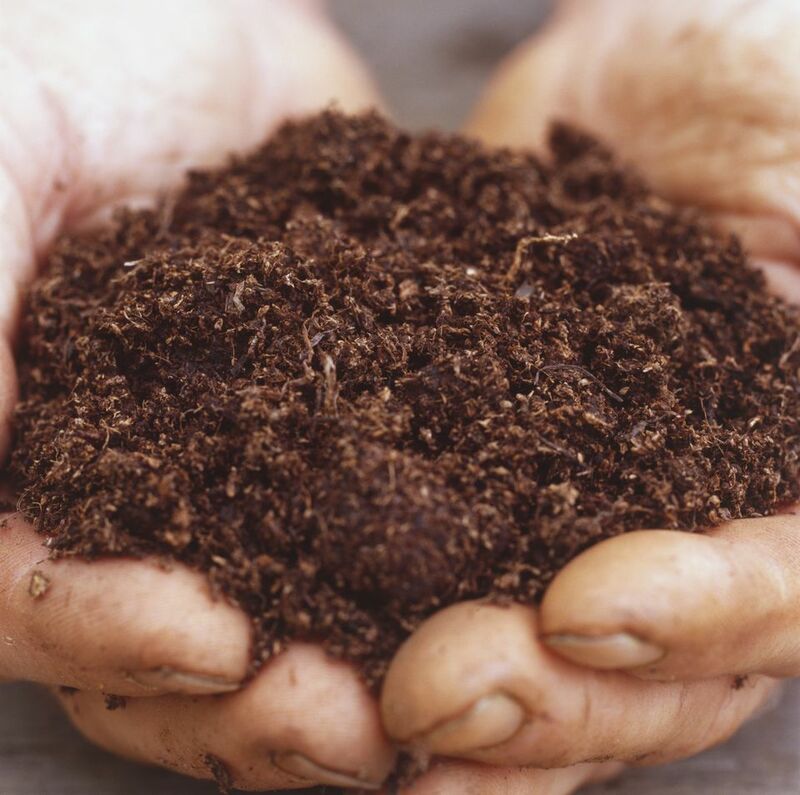 Coir is slower to decompose, so it lasts longer in the soil. It is both sterile and free of weed seeds. Improves air porosity in soils, even when wet, as well as improving moisture retention. It is easier to re-wet, when it dries out, helping plants recover from dry conditions quicker and requiring less irrigation. Studies are indicating coir may provide some resistance to pythium and other root diseases. Are there any Negatives to Using Coir? Nothing is perfect, and coir does have a few downsides. Coir tends to compact, which will come as no surprise to anyone who has handled a coir brick. Because it retains water, there is a chance of salt build-up. Like peat, it has negligible amounts of calcium, but since coir's pH is already neutral, you don't want to add lime. It doesn't have much in the way of other nutrients, either, although it is fairly rich in potassium and a handful of micronutrients. Coir is more expensive than peat. Coir is commonly sold in compressed blocks. These are easy to transport and bulk up quickly and easily, for use. To turn your coir brick into a loamy texture, you will need to soak it. Place the brick in a large container. The brick will increase about six times in volume; make sure your container is large enough to hold it. This 11 lb. (5 kg) brick (about 12.5 x 12.5 8 in. or 32 x 32 x 20 cm) will make approximately 60 liters of coir. Add water per the label's instructions. This 11 lb. (5 kg) brick suggested using 5 quarts of water, but you may need to have more. Help it reconstitute. After about 15 minutes, the outer portion of the brick will have started to soften. You can speed the process by breaking and crumbling the softened sections and allowing the water to reach further into the center. Don't worry if it seems like all you have is a muddy mess. Once the entire brick is exposed, it will absorb the water. When the whole brick has crumbled, the coir is ready to use. It will remain loose, even when dry, and will last for years. It takes a machine to compact it back into a brick. How Can an Annual be Hardy?